Samsung has officially launched its new smartphone Galaxy Grand 2, after the success of Galaxy Grand smartphone. The phone comes with a 5.25-inch HD TFT capacitive touch screen with the resolution of 1280x720 pixels.The display perfect for watching movies, playing games and e-reading and supports multitasking. It runs on Android 4.3 Jelly Bean operating system and it is powered by 1.2 GHz quad core processor. 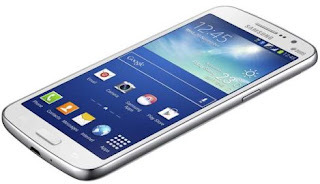 Galaxy Grand 2 has 1.5 GB of RAM, 8 GB of internal memory and the expandable up to 64 GB using microSD cards. It features a 8 MP auto focus rear camera with LED flash and 1.9 MP HD front facing camera for video calls.The phone packed with 2600 mAh battery that will provide up to 10 hours of video playback and 17 hours of talk time. Galaxy Grand 2 has Dual SIM support and it has the connectivity options are 3G, Wi-Fi, Bluetooth 4.0, GPS and microUSB. It comes with some pre-loaded Samsung Apps and some unique features including Multi Window, Story Album, S Translator, S Travel, Sound and Shot, Samsung Hub, Group Play and more. 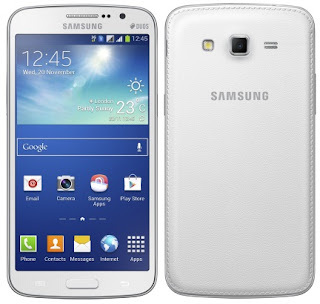 Samsung Galaxy Grand 2 will be offered in White, Black and Pink colors and available in selective regions. There is no word about pricing and international release yet.